Light duty overhead crane is the lifting equipment in construction machinery. It is also an important part of modern machinery and automation in industrial production. 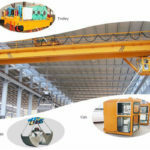 The light crane system offers a variety of advantages. The designer optimizes its entire structure including light weight, compact size and a variety of installation methods. If the customers have some needs, the parts can be dismantled and install other workshops. 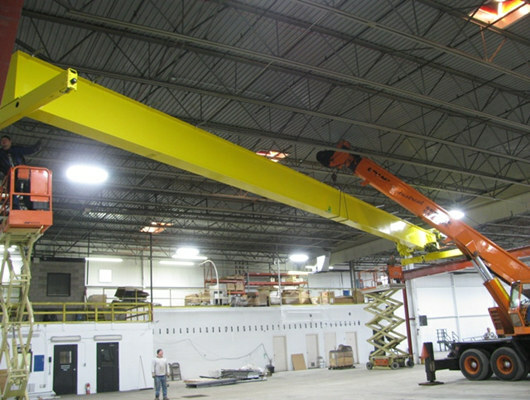 For some repeat actions or places where many objects need to be lifted, cranes can help them deal with these issues. 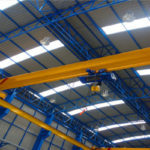 Owing to the light weight and various utilization, the light type overhead travelling crane has wide application sites. It is mainly used in the workshops or warehouses. 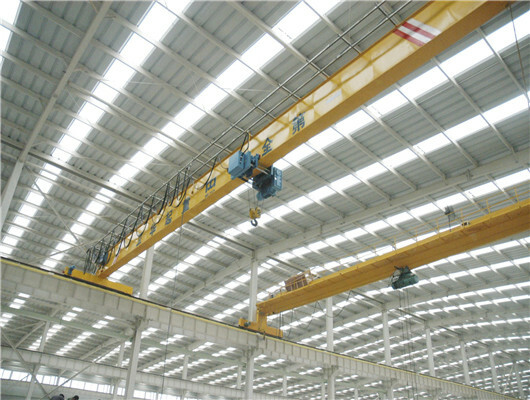 However, when the heavy duty overhead crane doesn’t meet the condition, the light crane can replace it in open stock yards, workstation or outdoor, which not only greatly improves work efficiency, but also shortens the construction period and reduces high-altitude operations. 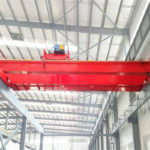 Due to the small size, compared with other cranes, it can lifting the goods whose height and distance are short depending on flexibility. Lightweight cranes play an increasingly important role in our real life. In modern crane construction, although many items cannot be manually transported due to their heavy weight or harsh environment, it can easily replace manual transportation and save time and effort. 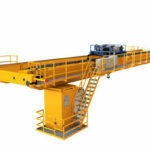 Are you researching for the light type bridge crane? Please get in touch with Weihua . You will find out more surprises. Light duty overhead crane can be divided into two types including single girder model and double beam model according to structure. Generally, the light duty single girder model is very popular about many countries. However, no matter what you choose the one or two, you should pay attention to the inspection standard and safety, which makes the work process good performance. As the markets are sophisticated, the customers pursue the high safety. Of course, before the transportation, our staff and experts have detailed inspection for our products. Most of the cranes can work at a temperature of -20 to +40 degrees. But, there are some equipment prohibited to use in combustible and explosive environment such as LX model. According to the standard design, we adopt the advanced technology and reasonable parts, which increase the product’s service space and reduce the cost. If the design can’t your need, you can contact us, we can do non-standard model in order to meet the users’ requirements. Generally, the type and CD1, MD1 model electric hoist work together as a complete set. There are two operations of the ground controlling and remote controller. When the clients want to make the product safe and effective work, you can adopt the two ways. 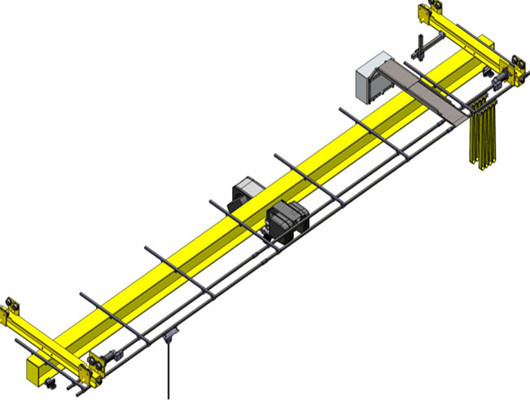 Portal model belongs to the light duty overhead crane. Owing to the diversified types and utilization ranges, it is widely used at machinery assembling sites, workshop and warehouses. Besides, it can apply to outdoor sites according to its convenience. Generally speaking, compared with other cranes, you can learn that its reasonable structure and long service life are very popular about many countries. It not only has the beautiful exterior, but also apply to many harsh sites. Especially at the operating temperature of -20 to +40 degrees, it can be used in the situation. we design different sizes of portal crane in order to meet the users’ demands. The span and the lifting height can be adjusted in different working sites. According to the technical specification, the crane travelling mechanism and the lifting mechanism strictly follow national standards. The lifting and moving speed can be controlled by the operator. It has the high working grade. 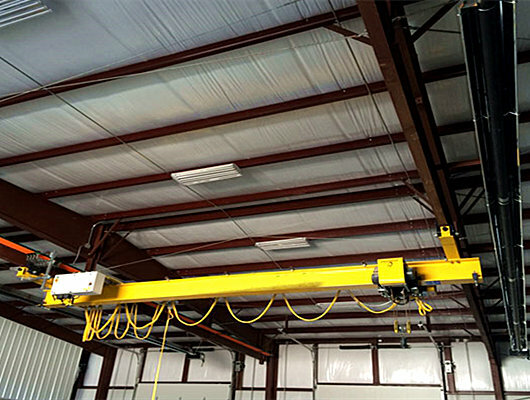 When your working comes to the frequent changing occasions, you need buy the light duty overhead crane. 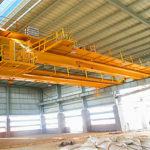 It belongs to the light type overhead crane. As the leading manufacture and supplier in China, our designers and experts keep research and development of several decades and we have abundant experience about its structure and usage. The mobile type is one of the most convenient lifting equipment in crane industry. Weihua designs different types of mobile cranes such as detachable equipment, and non-detachable overhead crane. If the conversion distance of mobile crane is a bit long, you can choose the detachable type. It has simple structure. The span and lifting height can be adjusted according to the customer’s requirement. Owing to the advantage, it can save time and reduce other cost. If the distance between sites, you an select the non-detachable model, which saves time about the installation and other equipment setting. All in all, the mobile overhead cranes have many advantages including smooth travelling, good structure and delicate operation. 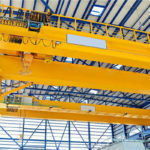 Lightweight overhead cranes play an important role in construction machinery industry. Without light cranes, some of our work will be even more inconvenient. For example, on the one hand, when it comes to the light object, if you use the heavy crane, you may make a large material for petty use. In addition, it also consumes a lot of manpower and financial resources. On the other hand, when it comes the limited sites, you will find out the lightweight crane application is very vital in daily life and work. If there aren’t existed the type in the lifting equipment, most of work can’t effectively finish. So, it will save human resources at the maximum extent and save time. 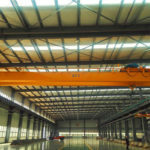 If you has purchased other overhead cranes, you can carefully learn about the product’s structure, with many advantages of good performance, strong rigidity, low noise, safety and reliability. Are you researching for the lightweight model, you visit our factory in China. Of course, you can call or email us, we will spare no effort to help you. If you want to order it, we will give the customer reasonable discount. 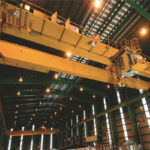 Mini overhead crane belongs to the light type overhead travelling cranes. Generally, its usage range has the corresponding limit. Most of the mini cranes adopt the single girder. It is widely used in the small workshop, loading and unloading small materials. 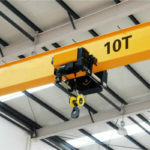 Owing to the light weight of light duty overhead crane, it plays an important role in some special situations. Without the mini or small bridge cranes, lots of tasks can’t be completed. For example, in limited space, other cranes can’t go into it, the mini type or the small crane fully shows their function because of size. 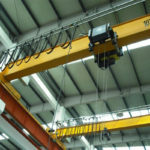 In addition, we can design the crane with hook or electric hoists. The clients can choose the suitable products. For a long time, our company insists on the quality first and customer first. If you need the mini or small type, you can choose our products. Currently, we can supply customers from all over the world with many lifting equipment, such as the insulating overhead crane, the electric bridge crane. 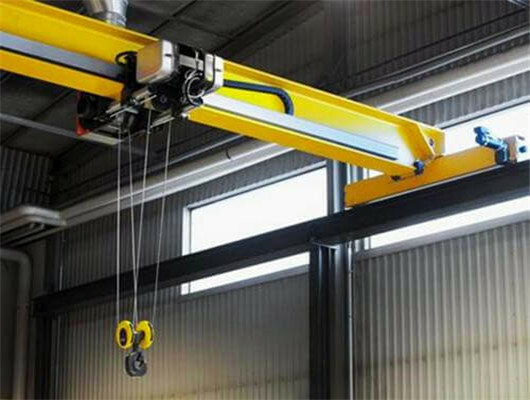 You can choose the overhead crane with hooks, hoists and grabs according to your requirement. Our products have been delivered to more than 60 countries and regions. If you have any related needs, contact me as soon as possible. Email or call us.